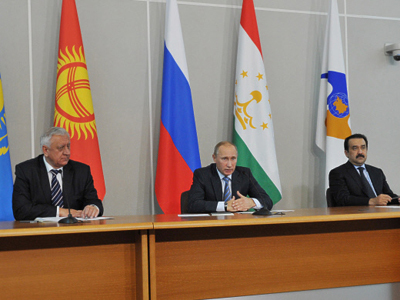 The creation of the Eurasian Union serves as a statement of Moscow’s global ambitions and a powerful move to form a supranational alliance to eventually counterweight the unipolar world built after the end of the Soviet Union. ­Prime Minister Vladimir Putin wants to justify his political decision to run for president for the third time, revealing this time a truly global agenda to be fulfilled, acknowledges international affairs analyst Aleksandr Selivanov. 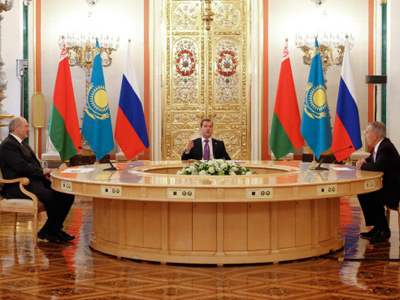 “It sends a clear message to the rest of the world and to the West that Russia is interested in elevating its economical interests from just national level to a supranational level, engaging in building an original project similar to the European Union, but with the lessons learnt from its operations,” considers Selivanov. 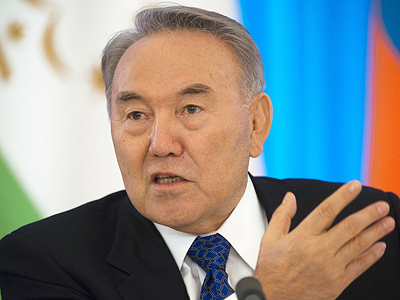 Whether the Eurasian Union be only economical, or it will transform into a political one as well is an open question. Speaking of the new economic body possibly becoming a counterbalance to the economical weight of the EU, political analyst Aleksey Pushkov, said that “the economic weight of the EU has been somewhat damaged by the crisis” and is unlikely to recover in foreseeable future. “I think this has nothing to do with the European Union, this is an independent economic union in the post-Soviet space, where people know each other, where they are used to each other, they are used [to having] a joined economy. In a way [it is] rebuilding the ties, which were severed during the fall of Soviet Union,” Pushkov said. 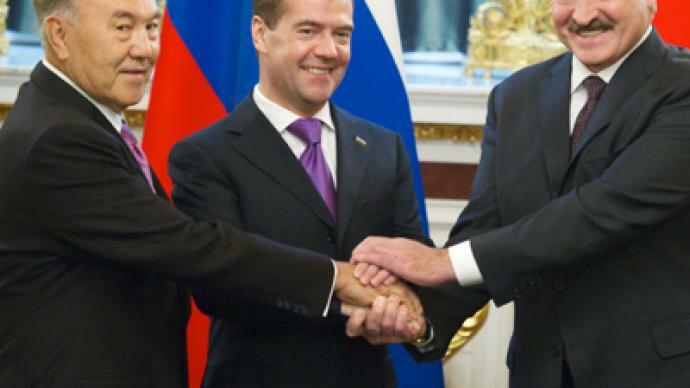 Putin has already touched on the matter, mentioning there are already ongoing talks at a ministerial level between the three countries about lifting the visa regime, or at least easing it, Selivanov recalls. “The Russian position is that the world is coming through the second stage of the economic crisis and the Russian answer to this crisis is also building a new economic alliance, and Russia really wants to become another economic pole in the world, in line with the concept of multipolarity,” shares analyst. “Instituting a new currency or bringing a new common currency to this Eurasian project will be a big advantage for Russia,” he said. Russia’s First Deputy Prime Minister Igor Shuvalov said on Thursday it is too soon to tell whether the Union will have a political agenda, but the hopes shared by the Russian officials point it will emerge into a political alliance. “Russia really wants to prove that the post-Soviet space is indeed the sphere of its privileged interests,” claims Aleksandr Selivanov. Starting with an economic agenda and moving to a political one, the way the EU once did, is a good way to move forward and “once proving the allies that this union is viable, then a political life of this union will also be successful,” Aleksandr Selivanov concludes. ­Integration always serves the interests of strong countries, so Russia and its neighbors [Belarus and Kazakhstan], which all have approximately the same level of development, will definitely benefit, believes Igor Khokhlov from the Institute of World Economy and International Relations. 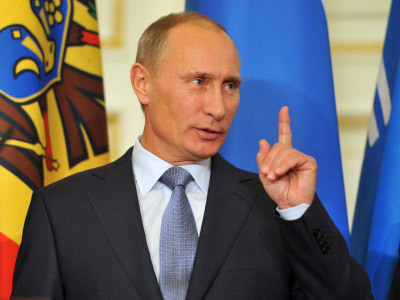 “Russia is going to be the leader in the Union, given its territory, population and mineral resources,” he said.